The president of the Drake Motor Company — rich, smart, ruthless, successful – is female. But is she a woman? She acts like a man: ‘I treat men the same way they’ve always treated women.’ ‘Love takes too much time. A woman in love is a pathetic spectacle.’ But she does love men: ‘Lots of them’. She picks out her sexiest employees, asks them over for dinner, and rings the butler to bring over the vodka to ‘fortify their courage’. When they get love-sick and start demanding more, she buys them off; and if that doesn’t work, she ships them out to Montreal, which in this film is like outer Siberia. It’s all love ‘em and leave him with Alison Drake (Ruth Chatterton) so she can put her energies where they really count – business. We’re told she gets rid of suitors ‘Just as Napoleon would have dismissed a ballet girl. She’s never met a man worthy of her. She never will’. But of course, she does; unfortunately for us, it’s George Brent. 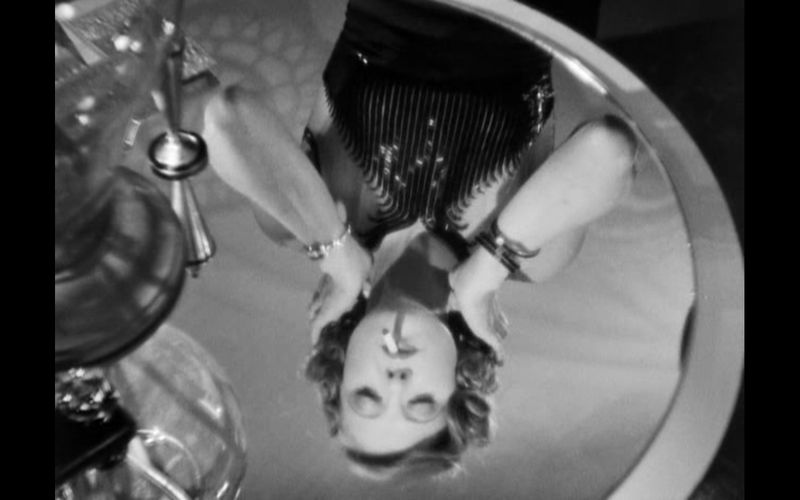 Curtiz makes every shot look interesting. The film begins in that gloriously dynamic way typical of early 30s Warner Brothers: We see the entrance to the Drake Motor Company, and then it’s irises out, horizontal wipes, diagonal wipes and quick cuts to show us what they’re manufacturing and how. It’s barely a minute into the film and it’s already exciting. Two clerks gossiping tell us ‘The President’s blowing the roof off?’ ‘Who’s getting it this time?’ before we’re shown that this scary and powerful captain of industry is not a man; nor is she just any woman – she’s Ruth Chatterton, already of a certain age, clipped diction, soignée, a big star who was then also considered a great enough actress to warrant the billing of ‘Miss’ Ruth Chatterton — no more respectful accolade was then possible. Ruth Chatterton shows George Brent who’s the boss. 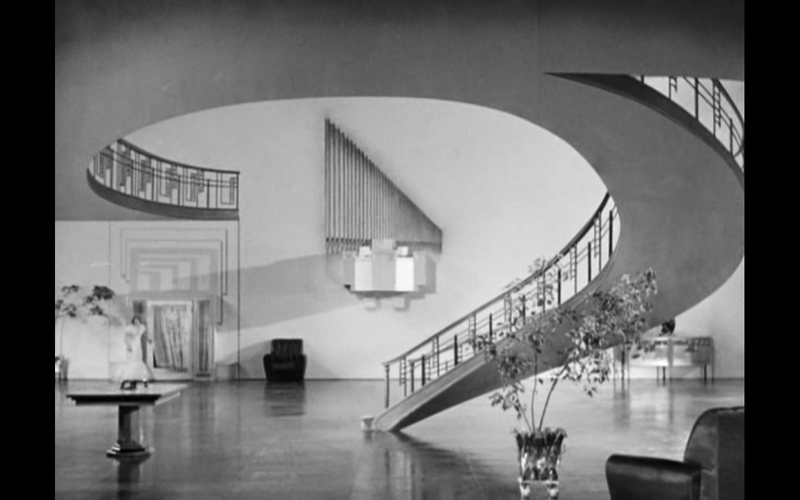 Throughout the first half of the film, Chatterton is filmed either in her office, busily answering phones with a huge window as backdrop showing the factory buildings, or in her ultra-modern and glamorous home, wearing glorious gowns in the living room or lounging around the pool with her prey. Michael Curtiz1, the director, makes every shot interesting and the film is a pleasure to look at. Sadly, she then meets George Brent at a shooting gallery. He’s a better shot, rebuffs her and of course she falls in love. When it turns out he works for her, she gets up to her old tricks but they predictably don’t work on him; too bad for us. At the beginning of the film, she tells her board they’ve got statistic poisoning. She’s fed up with statistics and she wants action and change. By the end of the film, she does what Katharine Hepburn will do almost ten years later in Woman of the Year (George Stevens, USA, 1942) to get Spencer Tracy — she diminishes herself to satisfy his idea of womanliness. At the end of the film, she endangers a business deal in New York to chase after him at a country fair. She gets him, promising to turn over the business to him to him and have nine children. The film ends with both of them on the way to make the business deal in New York. This viewer at least was left hoping that once they got there, got the deal, and she got her way with him, she’d return to her factory and leave him with a bus ticket to Montreal under the pillow. The film was denied a reissue certificate in 1936 with Joseph Breen writing Warners that the film was, ‘A cheap low-tone picture with lots of double meaning, wise-cracks, and no little filth which they think is funny'(Rode, 151). So many good reasons to see it now. I should qualify this. According to Michael Curtiz: A Life in Film, a thorough, wonderfully researched new book on Curtiz by Alan K. Rode that’s just been published (2017) by the University of Kentucky Press, ‘William Dieterle began filming Female on July 17, 1933, became ill after nine days, and was replaced by William Wellman. Wellman directed for the next ten days, until Jack Warner halted production. Warner screened Wellman’s footage and reportedly disliked the performance of George Blackwood. Blackwood was cast as one of the numerous male employees whom Alison Drake (Ruth Chatterton) — the high-powered vibrantly sexual CEO of an automobile company — invites to her house to first seduce and then exile to the firm’s distant Montreal office. For whatever reason, Warner uncharacteristically ordered scenes reshot using Johnny Mack Brown in place of Blackwood, along with some additional sequences to bolster what he considered a weak film. By September, Wellman was directing College Coach. Curtiz was tasked with retakes beginning on September 3 and wrapped the picture ten days later. As a reward for reshooting in record time, Curtiz ended up with the sole screen credit, even though he directed little more than a third of the picture.